Former President Mohamed Nasheed has departed to neighboring India on Tuesday. Nasheed is traveling to India on the invitation of Indian Council For Cultural Relations (ICCR) and Nehru University. During his visit, the former president will be delivering a speech on Democracy at Nehru University, while he is scheduled to speak on climate change at ICCR. Nasheed will also be meeting with senior officials of the Indian government during his trip. This is the first time the former president is traveling to India after President Ibrahim Mohamed Solih took Office in November, although he frequently visited the country during his time in self-exile before the new government took over administration. 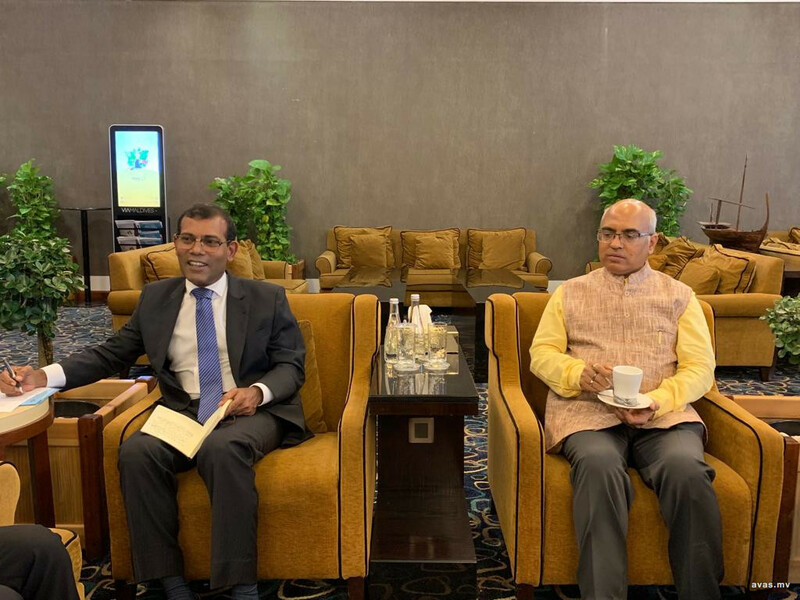 The bilateral relations between Maldives and India has improved significantly after President Ibrahim Mohamed Solih took Office in November, before which the relationship between both countries was extremely strained. President Naasheed has always been an advocate of India. While Nasheed is now visiting India, the issue of helicopters gifted by India to the Maldives has become a pressing debate, with former Home Minister Umar Naseer organizing a mass protest over the continued use of the two helicopters gifted by the Indian government.